Packed with action and depth, Star Wars™ Battlefront™ Missions are a great way to jump into action offline, via couch co-op or online co-op. Star Wars Battlefront Training Missions will let you fly an X-wing over the canyons of Tatooine, chase down Rebels with your speeder bike, or even fight as Darth Vader. Training Missions will help you become the best pilot in the galaxy and a formidable player on the ground in Star Wars Battlefront. Hold off waves of Imperial forces including AT-STs, TIE Fighters, elite stormtroopers and more. Experience a different Survival mission on every planet. 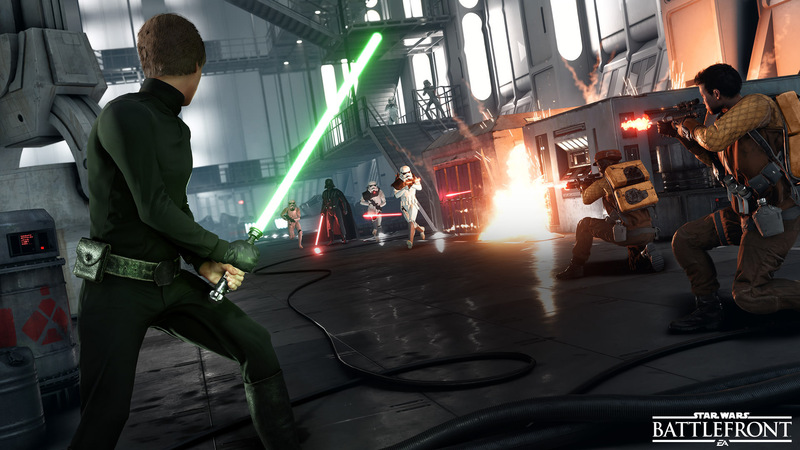 Master your Star Wars Battlefront prowess with Battle Missions. Fight alongside the Rebel Alliance or the Empire, against a friend or against enemy AI in head-to-head action. Battle Missions will put your skills to the test – do you have what it takes? Star Wars Battlefront Hero Battles let you live out your Star Wars battle fantasies by letting you play as Luke Skywalker, Darth Vader, and more. Feel the power as you master moves like Saber Rush or Force Choke as some of the most iconic characters in the galaxy.